We also run the definitive system of competitions for Irish music, called the “Fleadh Cheoil” (literally “feast of music”). Musicians compete in a series of qualifying rounds, culminating in the annual All-Ireland Fleadh Cheoil na hÉireann. We’ve collected an archive of thousands of hours of Irish music recordings, a large print library and a growing collection of videos. You can get a sample of some of this material in the Music section of our website. In an effort to promote the music of Ireland, we publish recordings, books and tutorials of Irish traditional music. You might want to take a listen over in our shop. We’re an international movement with our headquarters in Dublin, Ireland. You would be more than welcome to stop by for a visit to our home base, Cultúrlann na hÉireann, or to visit a local Comhaltas branch close to where you live. 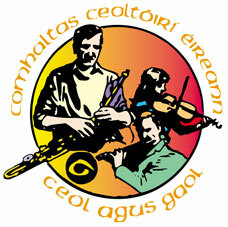 Comhaltas also reaches into local communities around Ireland with our Regional Centres. Of course, we’d love to hear from you if you have any questions about what it is that we do. So please feel free to contact us and we’ll be happy to help. If you are a member of the press, you might find our Press Room to be a good start.